The Samsung Galaxy A7 specifications will leave you astounded. Its 1.6GHz Octa Core processor ensures the device functions smoothly without being afflicted by glitches or lags. A 3GB RAM enhances the performance of the CPU further by enabling seamless toggling between open applications. The 16GB of internal storage gives you sufficient space for all your essential files and documents while providing easy access to them. Beautiful in black, the Samsung Galaxy A7 reviews bestow nothing but acclaim for its robust performance and clever construction. Its slim structure accommodates a 5.5inch Super AMOLED display that can produce beautiful 1920 x 1080 pixels resolution visuals. The quality of the Full HD visuals is further enhanced with the screen’s 16M color output. 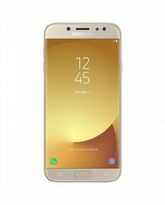 Samsung Galaxy A7 features a fingerprint scanner, which is integrated into the device’s home button. This scanner can not only unlock your phone, but also verify your Samsung account. The fingerprint scanner offers enhanced privacy protection along with better convenience. 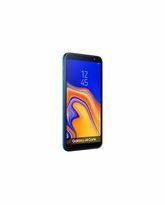 The Samsung Galaxy A7 cameras include the 5MP front facing and 13MP rear CMOS snappers that feature an f 1.9 aperture. Both these CMOS cameras ensure your captured images are exceptionally clear, regardless of the lighting conditions at the time of the shooting. The OIS functionality of the rear camera helps in capturing pictures and videos that are blur free. The Samsung Galaxy A7 features a dual band 802.11 a, b, g, and n specification WiFi adapter and also gives support for the 4G LTE network. They ensure you get to access the Internet while near wireless hotspots, or when you are on the move, respectively. 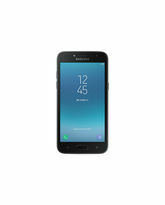 The fully charged Samsung Galaxy A7 battery delivers a talk time of 17 hours on 3G networks. This 3300mAh capacity battery can be recharged back again in just a matter of time. 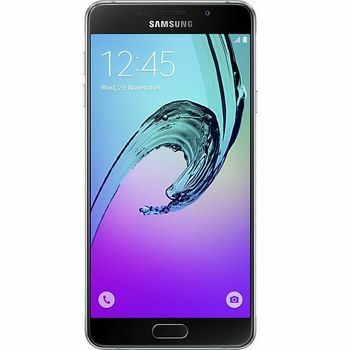 The Samsung Galaxy A7 specifications will leave you astounded. Its 1.6GHz Octa Core processor ensures the device functions smoothly without being afflicted by glitches or lags. A 3GB RAM enhances the performance of the CPU further by enabling seamless toggling between open applications. The 16GB of internal storage gives you sufficient space for all your essential files and documents while providing easy access to them. 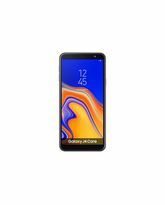 Beautiful in black, the Samsung Galaxy A7 reviews bestow nothing but acclaim for its robust performance and clever construction. Its slim structure accommodates a 5.5inch Super AMOLED display that can produce beautiful 1920 x 1080 pixels resolution visuals. The quality of the Full HD visuals is further enhanced with the screen’s 16M color output. 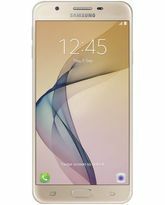 Samsung Galaxy A7 features a fingerprint scanner, which is integrated into the device’s home button. This scanner can not only unlock your phone, but also verify your Samsung account. The fingerprint scanner offers enhanced privacy protection along with better convenience. 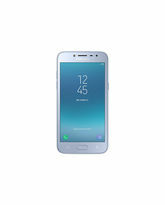 The Samsung Galaxy A7 cameras include the 5MP front facing and 13MP rear CMOS snappers that feature an f 1.9 aperture. Both these CMOS cameras ensure your captured images are exceptionally clear, regardless of the lighting conditions at the time of the shooting. The OIS functionality of the rear camera helps in capturing pictures and videos that are blur free. The Samsung Galaxy A7 features a dual band 802.11 a, b, g, and n specification WiFi adapter and also gives support for the 4G LTE network. They ensure you get to access the Internet while near wireless hotspots, or when you are on the move, respectively. The fully charged Samsung Galaxy A7 battery delivers a talk time of 17 hours on 3G networks. This 3300mAh capacity battery can be recharged back again in just a matter of time.